The Used/Refurbished Iridium 9505A Travel Kit includes the reliable and efficient Iridium 9505A global satellite phone, Watertight Hard Case and Solar Panel. This Travel Kit is a great alternative if you are going to be in places exposed to harsh conditions or in remote locations without electricity. The Iridium 9505A Satellite Phone allows you to make or receive calls anywhere on Earth. 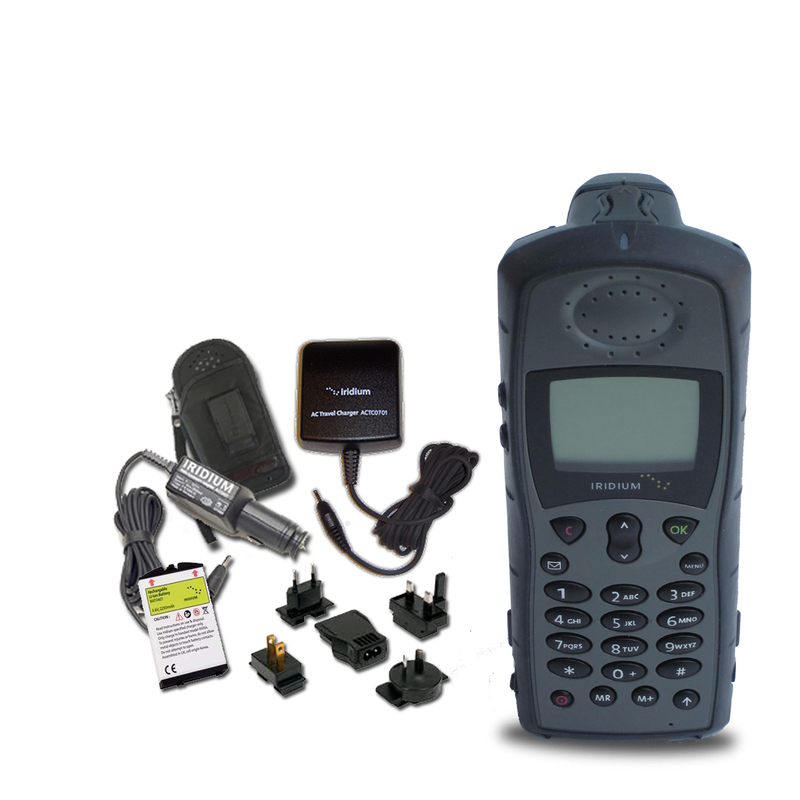 This satellite phone is portable, lightweight, and works off the Iridium satellite network. With a used hard case and solar panel included in this package, makes it very suitable for military use, emergency response crews, fishermen, or adventurous backpackers. You can keep your satellite phone safe inside the watertight hard case and always be able to charge your phone with the 18 Watts Solar panel. The folding design of this solar panel make it very easy to carry it. We have competitive prices and assure to provide quality used and refurbished satellite phones. Refurbished and Used Satellite Phones come with a 90 Day Warranty. NorthernAxcess offers very competitive prices on airtime and if you purchase any Iridium satellite phone, we will waive the activation fee of the prepaid airtime. Buy an Iridium Satellite Phone plus Prepaid Airtime and Save Money. For more information regarding airtime click here. Do you have a 9500 or 9505 Motorola iridium satellite phone and want to upgrade to the 9505A model, you can send us your old iridium satellite phone and will give you credit towards your new purchase. To learn more about the NorthernAxcess Buyback program click here. The Iridium 9505A satellite phone is still one of the most reliable and efficient phone and have been used for many year by emergency teams, government, and military. Industrial-grade design and a reliable performer, the Iridium 9505A satellite phone is small enough to carry in a backpack, very simple to use and offers proven reliability for use wherever you are in the world. This phone has the ability to send and receive text messages to other phones. Also can be used as data modem by attaching a data kit. When you connect it to your computer you can connect to the Internet or email at speeds of 2.4 Kbs/s. NorthernAxcess offers the AxcessMail Software, a reliable and cost effective email and file transfer over satellite phones that can save you airtime cost when using it for data.The quick access interface with menu-driven commands and graphical display of the Iridium 9505A offers straight forward usability. Set-up is fast and easy with 21 language choices for menu prompts and + key international access for simplified dialing with the addition of country code and number. This Pelican 1200 case is unbreakable, watertight, airtight, dustproof, chemical resistant and corrosion proof. Your equipment can fit into the high density foam of the case for total subjection and protection against impact, vibration or shock. TheSolarPak 18 Foldable panel gives you ultimate power in a small compact design. This panel is an economical solution to keep batteries charged.You can use this 18 Watts foldable panel to be prepared for an emergency and use it as a back up to charge your satellite phone. This SatStation solar panels come with female cigarette lighter adapter. Click the button below to add the Iridium 9505A Travel Kit w/Case & Solar Panel-Used/Refurbished to your wish list.